Starting a business is always the fun part: Coming up with an idea, registration of business name, building an online presence, and imagining all the things the business will become once it takes off. But without marketing knowledge, driving traffic and making sales can become an entrepreneur’s biggest hurdle on the road to success. Business Name (BN), popularly called Enterprise in Nigeria, is a form of legally recognized business organizations in Nigeria. Clearly, most Micro, Small and Medium Enterprises (MSMEs) come, and in fact can be conveniently organized, under the Business Name structure. How do you get set, get seen, and get selling during the busiest shopping season of the year? Cut through the noise and be prepared — Black Friday Cyber Monday and the holiday shopping season are coming up faster than you think! Luckily, there’s a simple solution: a course on how to get your first sale on Shopify! This free video course offers 20 video modules showing you how to make your first sale on Shopify using Facebook Ads. Covering everything from brand differentiation to pixel placement to campaign optimization, this course is designed to show you how easy it is to start and scale your business with Shopify. It is no longer news that Nigeria woefully failed to achieve the Millennium Development Goals (MDGs) which ended in 2015, particularly Goal 1 which was to reduce extreme poverty. Thankfully, the United Nations in January, 2016 launched the Sustainable Development Goals (SDGs) which are a guide to the United Nations Development Programme (UNDP) policy and funding for the next 14 years. The SDGs, among other essentials, recognize a universal commitment to actions to end poverty. In Africa, the simplest way to end poverty is to encourage MSMEs to start, have access to finance and funding as well as sustained entrepreneurship mentorship and supports from both the Government and successful private sector players. The simple effect of the above sections of the CAMA is that any person or entity having a place of business in Nigeria under a Business Name, e.g. Travel and Hospitality, must register that brand name with the Corporate Affairs Commission within twenty-eight days of starting the business. In the case of an INDIVIDUAL, if he/she uses his full name, initial and surname(s) without any addition. In the case of a FIRM/PARTNERSHIP, if it uses the full name, initial and surname(s) of the partners without any addition. In the case of a COMPANY/CORPORATION, the company or corporation uses its corporate name without any addition. Where the addition merely shows that the business is carried on in succession to a former owner of the business, the additional element need not be registered. If two or more INDIVIDUAL PARTNERS have the same surname and there is an addition of an “S” at the end of the surname, which shows plurality. If the business is carried on by a RECEIVER/MANAGER appointed by any court. 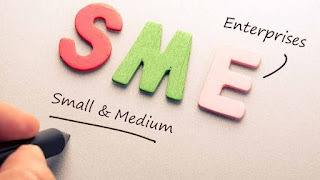 One important benefit of registering one’s BN or MSME (Micro, Small and Medium Enterprise) is that upon registration, a certificate of registration of the Business Name is issued, and that name becomes a corporate name. On the other hand, if an individual or firm carries on business under a Business Name of which registration is required under the CAMA and fails to register it, that individual or every partner in the firm becomes guilty of an offence and liable on conviction to a fine of N50 for every day during which the default continues. Therefore individuals or partners can enter into transactions or contracts in their registered BNs, and will derive every necessary legal benefit. Second, a registered BN enjoys a corporate recognition and distinctiveness, in that no other name that is identical with or similar to the already registered BN will be subsequently registered by the Corporate Affairs Commission. Also a registered BN takes priority over an unregistered similar BN, which in effect renders the unregistered BN unrecognizable in law. (a) any bona fide use by a person of his own name or the name of his place of business, or of the name, or the name of the place of business, of any of his predecessors in business. Obviously, it is only a registered BN (except the categories not under the mandatory list) that the registration of a particular trade mark name will not interfere with the use of its place of business in the event that the registered trade mark name is similar with the name of the place of business. Though a registered BN does not have what is known in legal jargon as juristic personality, i.e. the right to sue and be sued in its corporate name, like the incorporated company, the rules of practice and procedure relating to commercial litigation with respect to registered BNs have become more liberal. The various Rules of the High Court and the Magistrates’ Court now allow two or more persons who carry on a business as partners to sue or to be sued in the name of the firm. Also a person carrying on a business under a BN whether registered or unregistered may be sued in such name as if it were a firm. The Supreme Court of Nigeria and the Court of Appeal of Nigeria have restated these flexible rules of procedure and practice in the cases of Iyke Medical Merchandise v. Pfizer Inc. (2001) LPELR-1579 and F.O. Loy v. Registered Trustees of New Covenant Church (2017) LPELR-42183, respectively. However, if a wrong is done against an unregistered BN, the unregistered BN cannot successfully sue to redress the wrong in its unregistered name because it will not be allowed to benefit from its illegality, i.e. having not been registered as required under the CAMA as stated above. A third basic reason for formal registration of one’s BN is to enable one to have access to finance and loan facilities from formal lenders. Formal lenders, whether commercial banks or interventionist lenders such the Bank of Industries, before looking at the bankability of one’s venture will first want to know whether the business has been registered as required by law. So the registration of a BN is the basic eligibility requirement for business loans in Nigeria. Unfortunately, in Nigeria most MSMEs can hardly access business loans because of their inability to provide the collaterals acceptable to formal lenders. Most formal lenders in Nigeria insist that borrowers should collateralize their loans with registered title document, i.e. certificate of occupancy. Why formal lenders insist on registered title document as collateral is for easy of recovery of the loan sum and interest upon default by the borrower. Clearly, MSME start-ups can hardly afford this collateral of certificate of occupancy. Consequently, MSMEs become excluded from accessing business loans. Today, the good news is that there are now guarantees by law for formal lenders to accept movable assets such as cars, shares, copyright, patents, salaries, earnings, profits, agricultural produce, etc. as collaterals. This was by the passing into law of the Secured Transactions in Movable Assets Act, 2017 by the National Assembly which came into effect on the 30th day of May, 2017. So the strength of this law, formal lenders can now accept movable assets as collaterals for business loans. Therefore, an MSME entrepreneur who has a viable movable asset can now approach any commercial bank in Nigeria or any other formal lender for business loans. Fourth, the need to open and maintain a corporate bank account in the name of a business underscores why it has to be registered. Without certificate of Business Name registration no commercial bank will open a corporate account in the name of a business entity. This is part of the requirements of Know Your Customer Banking Guidelines. Every business, especially an MSME start-up needs to have a running corporate bank account particularly a current account to enjoy overdrafts. Firth, a registered BN becomes an identifiable source of an entrepreneur’s tax obligation. By section 1(a) of the Personal Income Tax Act (PITA), income taxes are imposed on individuals, communities and families, and are assessed based on the total income of such individuals, communities and families, in each applicable year. In a given period, if the financial books of a registered BN show no profit, the owner of the business is not to be taxed in that given period. Thus, with a registered BN one can avoid taxes. Tax avoidance is not unlawful. An enterprise in which foreign participation is permitted under section 17 of this Act, shall not commence business, except it is incorporated or registered under the Companies and Allied Matters Act. Thus, for a foreigner or foreign business to participate in the Nigerian market where not exclusively reserved for Nigerians, the foreign business must be registered. Many Lawyers and New Wigs find it difficult to acclimatize their brains with the code of conducts for legal practitioners; Rules of Professional Conduct for Legal Practitioners 2007. This challenges faced by our aspirants to the bar, to whom knowledge of professional ethics is of paramount important in the Bar Finals’ examination calls for this highlights of the rules for easy grasp. This highlights will cover the general responsibility of lawyers, role and duties of counsel to court, duty of counsel to other lawyers, duty of counsel to clients, improper attraction of business, remuneration and miscellaneous. 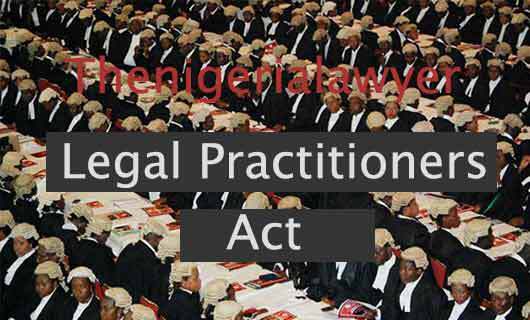 As a legal practitioner, you have a general responsibility not to engage in any conduct which is unbecoming of a lawyer, not to admit unqualified persons into the profession, nor aid the unauthorised practice of law. Avoid intermediaries in your work but you are free to partner with other legal practitioners. If you are in judicial or public employment, don’t engage in business or any salaried employment. Take note that; practicing fee is compulsory, obtain your accredited seal and stamp, attend Continuing Professional Development course, you are entitle to practicing certificate and notify NBA when you set-up a new office. As you relate with your client(s), you are to dedicate and devote to your client cause, represent him within the bounds of law and represent him competently. Avoid conflict of interest where there is agreement with you or he entrust you with privilege information. As a witness do not withdraw from his employment or call at his house. In dealing with his property, you have responsibility for litigation and you must investigate facts and ensure proper production of witness. As you relate with other lawyers, keep fellowship and precedence, your acts should be fair and in good faith, you can associate with them in single matter, and observe the rules when your client change or debrief you. As you relate with the court, being an officer you have a duty of good conduct, candid and fair dealing, not to publicise trials. Beware of your closeness to judges,[, respect tribunals, act with decorum, do the necessary in the best interest of your client but don’t stand bail for them, and exert your best effort while handling the brief of an indigent client. As a professional tycoon; don’t solicit but fairly advertise, use note-papers, envelopes and visit cards, signs and note; books and articles are also allowed. You can publish your new address, your willingness to associate with other lawyers in your locality. Be robe in superior courts, you can handle some press, radio and television legal interviews, but don’t instigate litigation. As a professional employee, you are entitle to remuneration, you can accept general or special retainer, arrange for contingent fee in civil matters, but don’t agree to pay litigation expenses. Your fee should be reasonable and commensurate, avoid sharing your legal service fee, and don’t accept gifts from your client’s opponents. The provisions of the rules are enforceable against any person bearing the second word as defined in the interpretation rule, see the citation. The above rules segmented and summarize will make one appreciate the rules of professional conduct at his fingertips. It’s the responsibility of lawyers or law students to appreciate the entire rules and applied them when the need arise.